The center needs to win the face off back to the Defense (in this case LD). RW and C both have to block out and prevent the opponents from getting quick pressure on LD. 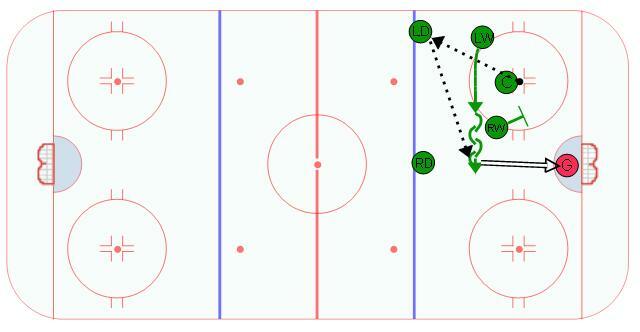 Once the face off is won, LW sprints to the slot and opens up to receive a one-timer from LD.